Alex is a senior at Battlefield and is a four-year student in Battlefield's Journalism Program. He is a two-sport athlete, playing football in the fall and running track in the winter and spring. Alex is the Editor-In-Chief of the BHS Beat, where he specializes in writing, editing, and working with his website team. 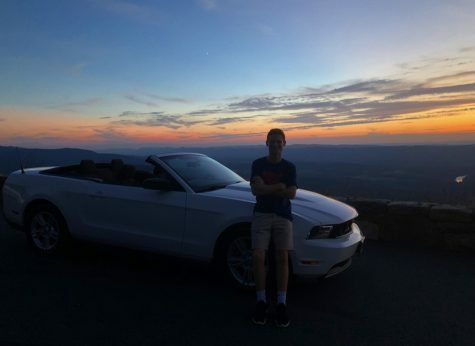 On top of being an Editor in Battlefield's Journalism Program for all four years, Alex is a member of National Honor Society, the Big Brothers and Sisters Program, FOR Club, the SCA Executive Committee, and Student Leadership. When writing for the Beat, Alex likes to cover sports, sciences, and technology. In his free time, he is a passionate New York Yankees fan, proclaims himself as a "rollercoaster guru," and is a skilled Pizza Roll chef. You can find Alex on all platforms of social media by the handle of @AlexYoung35.